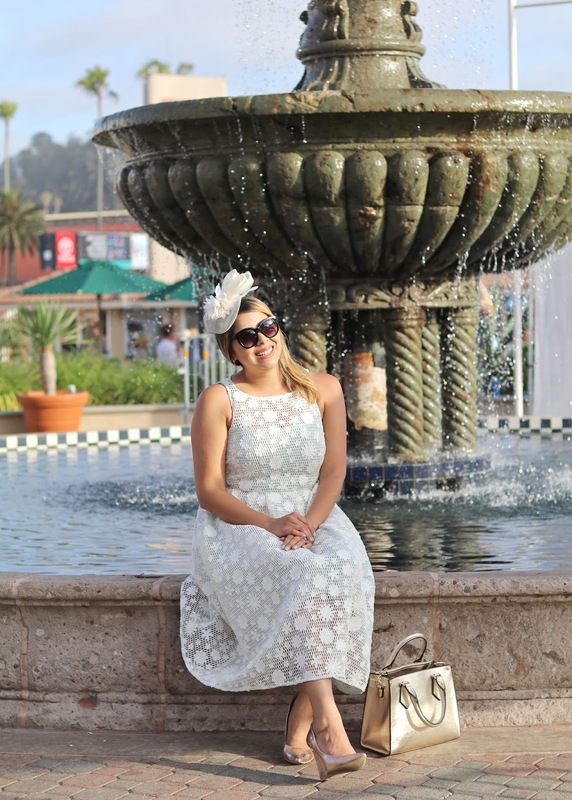 Opening Day at the Del Mar Racetrack is one of San Diego's biggest events (this year an estimated 42,562 people were in attendance) and it also happens to be the most stylish, where San Diegans aren't afraid to overdress. Actually, overdressing and over the top hats are the name of the game at this event and people-watching becomes a fun activity (second to horse betting of course). 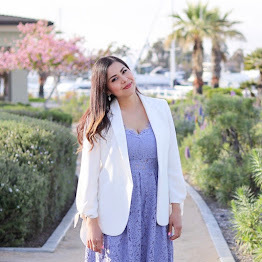 Every year I do something different outfit wise, I've done lace, big hats, Summer Dresses, tight dresses, the lbd, but this time I just went for an all-white look. It gave me the royal vibe, like if I was going to roll up to Buckingham Palace for tea. One of the biggest incentives of creative and over-the-top hats is the Opening Day Hat Contest where winners of the most creative hats get prizes valued at hundreds to thousands of dollars. It's pretty astonishing how creative and grandiose these "hats" are! Overall, Opening Day is a fun day with friends! One thing you can expect is long lines for everything because of the amount of people, so our strategy was starting the day early and tailgating before the doors opened and having reserved seats to rest our feet. Now that the racetrack season is in session, I can't wait to go back and just bet on horses relaxing with a drink in-hand! 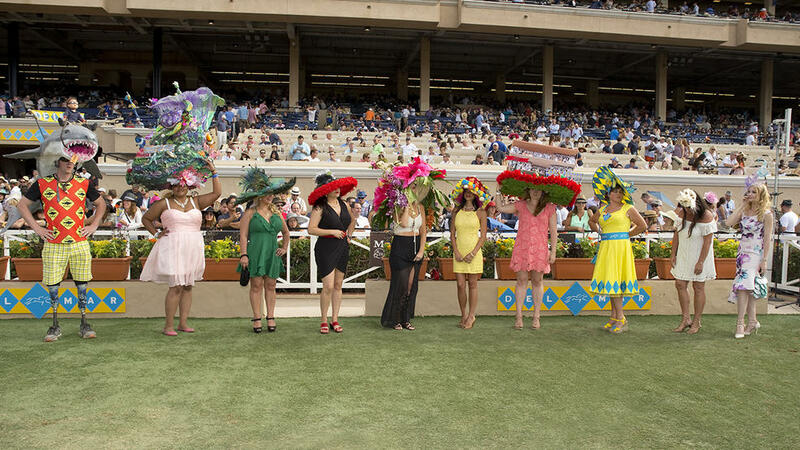 If you're in San Diego make sure to come by to bet on some horses or see the concert series! 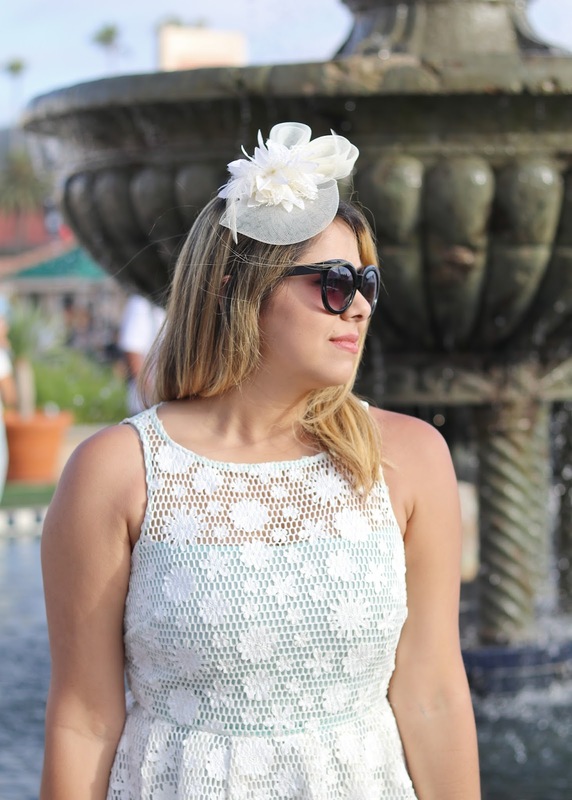 Special thanks to Del Mar Scene for inviting me!